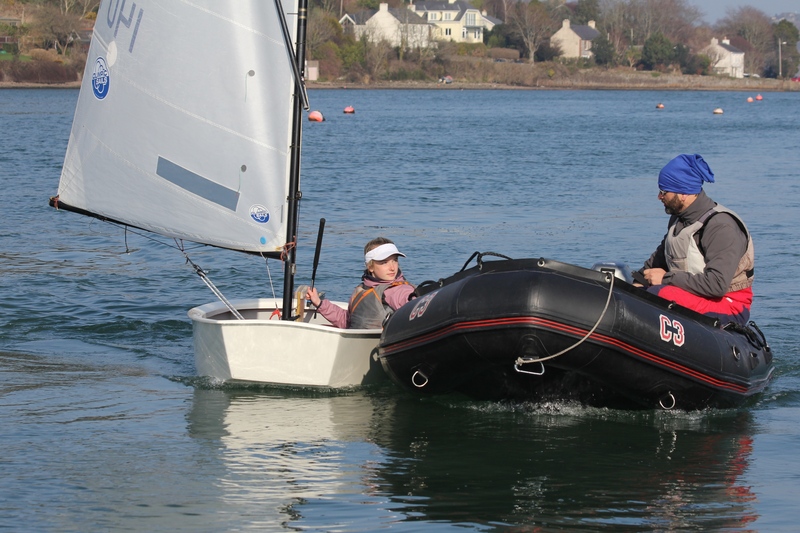 Our Trials sailors swapped their new red jackets for buoyancy ones and took to the water for the past four days making the most of the school holidays over St Patrick’s weekend. Today saw 39 sailors race on the Curlane Bank in a Pre Trials Practice Regatta. Racing was run by OD Andrew Crosbie and his team. It was hard to believe it was March as the sun shone for the afternoon although the slight chill ensured no layers were dispensed with!. 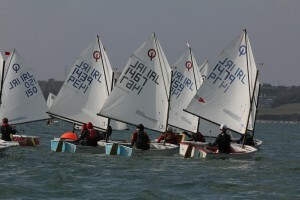 The various optimist training groups came together for racing with FG at 12.25. 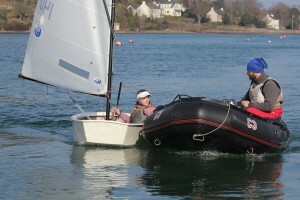 Overall Winner after three bullets – Grace O’Beirne, ISA Optimist Squad coming ashore after racing with coach Thomas Chaix. Training continues next weekend.